Last week this beautiful new online interiors store opened and it took my breath away. Decorator's Notebook is run by brother and sister team Joe and Bethan John from their home in Somerset and I had been eagerly awaiting its opening for some time. I follow Bethan's wonderful blog and know her through a network for creatives that we both go to, so I knew that she would put together something lovely but this really is brilliant! 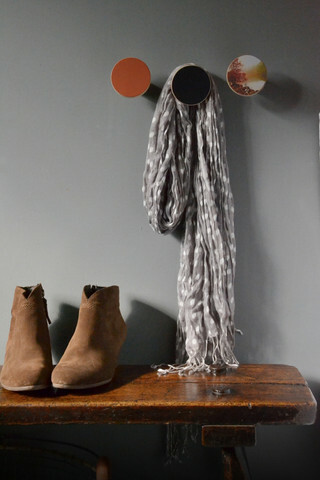 I love the handpicked collection and the way they have featured the makers on the site. I couldn't resist getting a couple of things for our home (and to use on my workshop this weekend!) the first day it opened and am just delighted with them. I am completely in love with the way that Bethan and Joe have styled and photographed their products. This week Bethan and Joe kindly took some time to tell me some more about their startup adventure. Why did you decide to stop work and launch your own startup? Bethan: Last year we enrolled on School for Creative Startups, a course designed to teach creative thinkers the skills they need to start and run a successful business. We learned about writing a business plan, marketing, finance and loads more. But what we didn’t bank on was gaining the confidence and conviction to actually take the leap and approach Decorator’s Notebook as a full-time venture! We just realised that we’d never truly know the potential of our idea unless we gave it our all. So, in July I sold my flat in London, left my full-time job and moved back to Somerset. It was a huge life change, but was the only way to get the time and focus we needed to get Decorator’s Notebook off the ground. You've joined forces with your brother. Have you planned to do something together for a long time? A childhood dream perhaps? Bethan: Until we launched Decorator’s Notebook I was working as an interiors journalist for magazines in London and, like pretty much every other interiors journalist I know, harboured a secret dream of one day having my own shop selling only things I absolutely loved. Growing up though, our family always had Joe down as the entrepreneurial one… I think they were a little surprised when we told them we were launching something together! Joe: I always felt I had it in me to launch a startup business but was waiting on the right idea. When Bethan asked me if I felt like making her dream of a Decorator's Notebook Shop a reality, it seemed like a perfect opportunity. We're both creative people so it's really easy for us to communicate our ideas to each other and, almost by chance, our professions took us in two different directions which gave us perfectly complimentary skills for Decorator's Notebook. There's so much work to do that I can't imagine either of us being able to do it alone! What's been your biggest startup challenge? Joe: Getting finance to start a brand new business is almost impossible at the moment, because until you have a track record banks and investors won’t take the risk. We both put in some of our savings to cover the early costs and had some help from family, but we still needed to buy our first batch of stock. Luckily, we heard about Launcher Loans through our business course and were eligible to apply. They’re designed especially for very young or startup business and are backed by the government so we felt more comfortable about doing it that way. The photography and styling for your shop is so beautiful. Where does your inspiration come from for this? Bethan: Decorator’s Notebook is all about products that have been made with love and care from quality natural materials. When you sell online, you need to be able to show people how things look and feel through a computer screen so we knew our photographs had a lot of work to do! We’ve tried to make them clear and simple enough to show the natural beauty of the products, but styled enough to be inspiring too. Joe: We wanted it to feel like you were entering a different kind of interiors shop when you arrive at Decorator's Notebook. We selected products for our launch collection which have a handmade feel to them or an individual story to tell. For the photography we opted for quite dark backgrounds and soft natural light to help bring out that tactile quality, which can sometimes be lost with very light, bright product shots. What is your favourite piece in your shop? Bethan: My number one criteria when choosing pieces for our collection is that I must want every single one in my own home, so picking a favourite is hard! 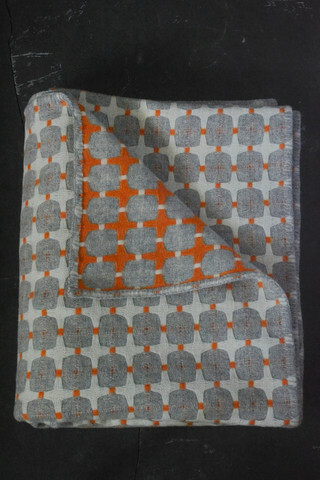 I do adore our Welsh blankets though – they’re made in one of the last working woollen mills in West Wales so they have a rich heritage behind them, blended with contemporary patterns and bright colours which make them really stand out. A traditionally-woven Welsh blanket will last centuries and I like the idea that we send these off with love to people’s homes where they could one day become a family heirloom. 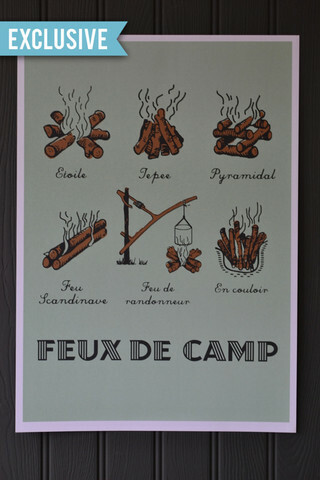 Joe: I love our Campfire Screen Print. It was the first product to make our launch collection and we collaborated with illustrator Double Merrick on the design from the ground up. It has a real personal significance to us … as children we grew up exploring the countryside together - building dens and campfires in the woods - and now we’re building Decorator’s Notebook together too. I've got one on my wall at home!